iMac 27" hinge mechanism screw set. 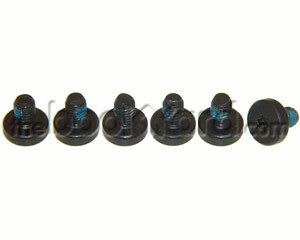 This screw set consists of six 9m T10 screws (3m deep head). These screws attach the hinge mechanism into the rear housing unit.